iTunesDirect.com.au is rated 5 out of 5 based on 100+ reviews & has fulfilled 80,000+ orders. 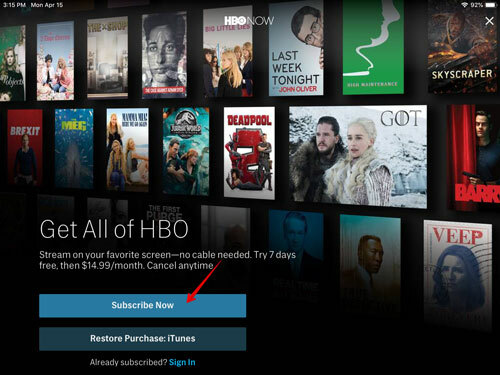 When you follow these steps you get 30 days free with HBO Now and after that it's $14.99 USD per month charged to your US iTunes account. 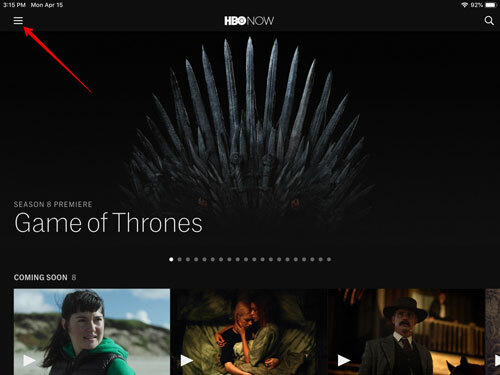 → A VPN connection and service (We recommend Unlocator) This is the only service that we have used that seems to be on top of the Netflix/HBO Now crackdown. 1. 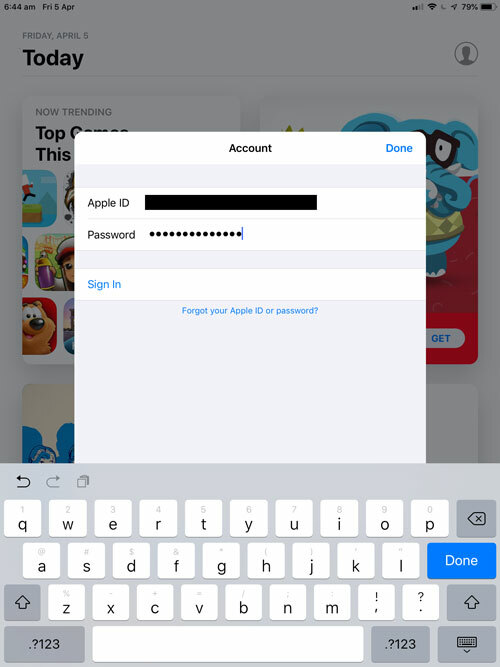 Open App Store and click the Account icon in the top right corner. 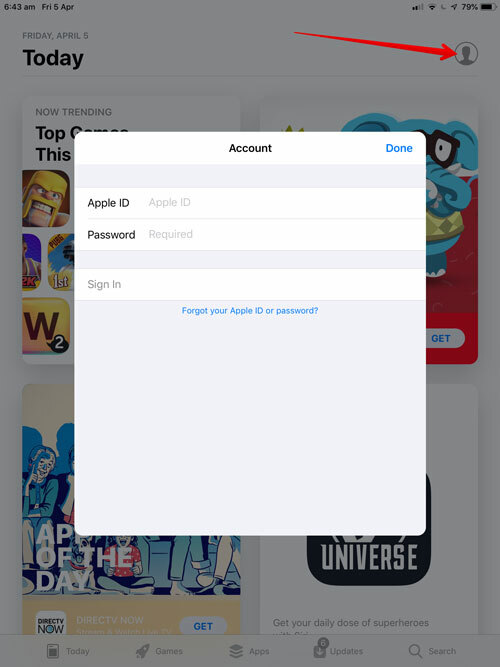 Make sure you are signed out of any Apple ID that is not your USA Apple ID. 2. 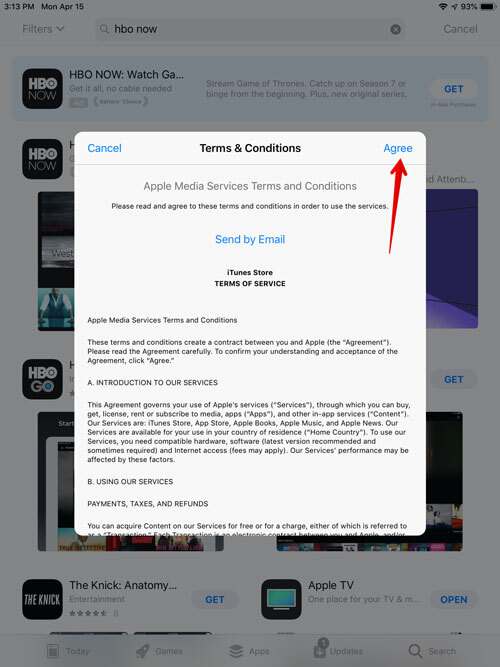 Sign in with your U.S. Apple ID. 3. Once logged in, go to Country/Region. 4. 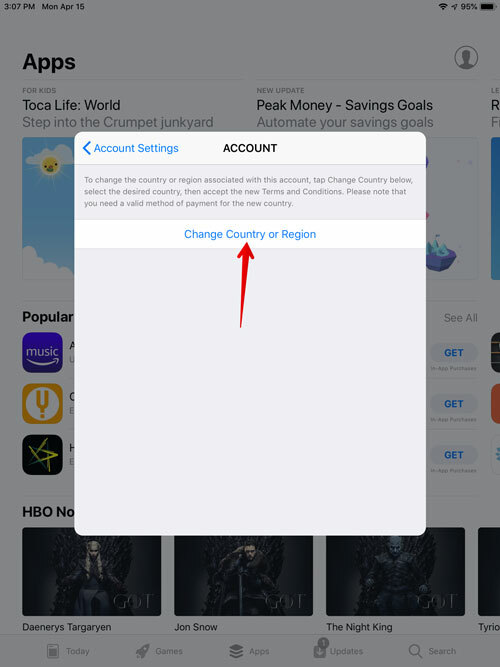 Click Change Country or Region. 5. Make sure it is set to United States. 7. 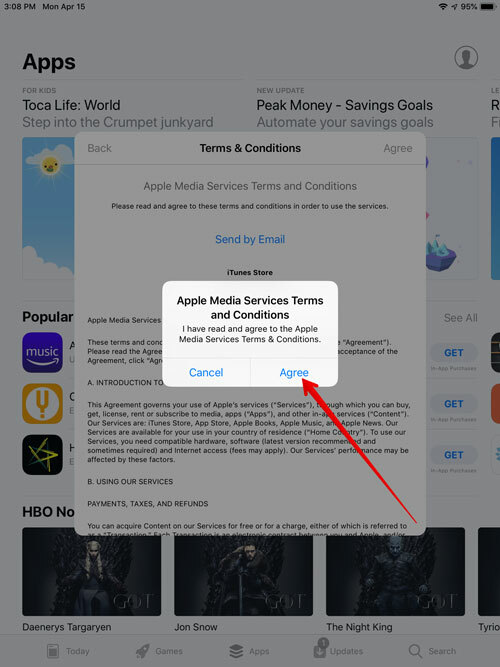 Click Agree on the pop up. 8. Next you may get redirected to the Account Information page. 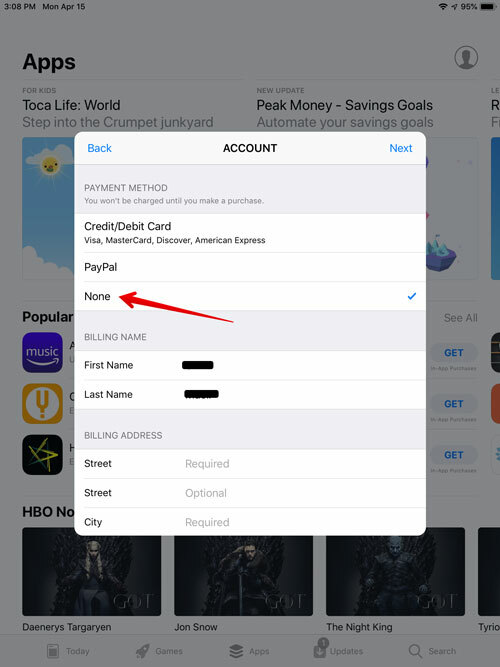 Make sure you select None for the payment method. 9. Make sure that the Billing Address is filled in with a US address. 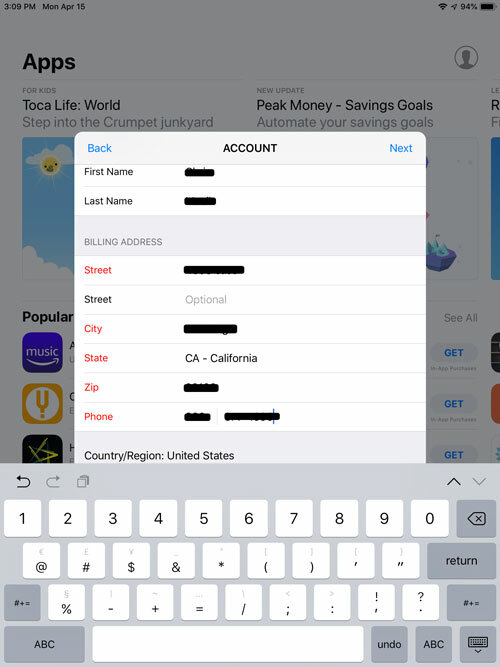 It doesn’t matter what US address is entered or what phone number is entered. 11. 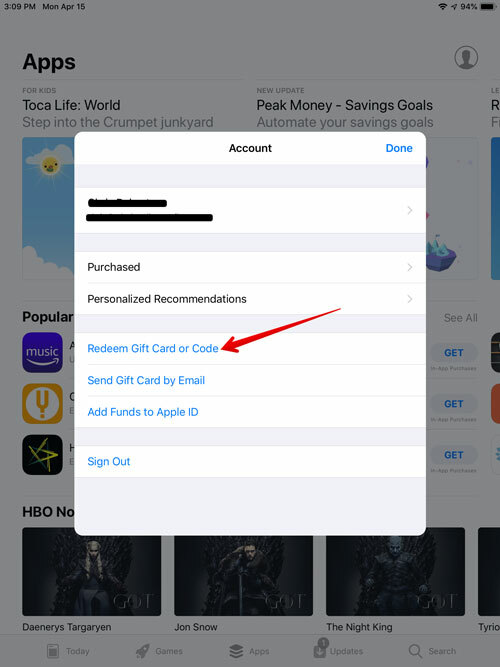 If you do not have at least $15 USD credit on your Apple ID, Click the Account Icon again. 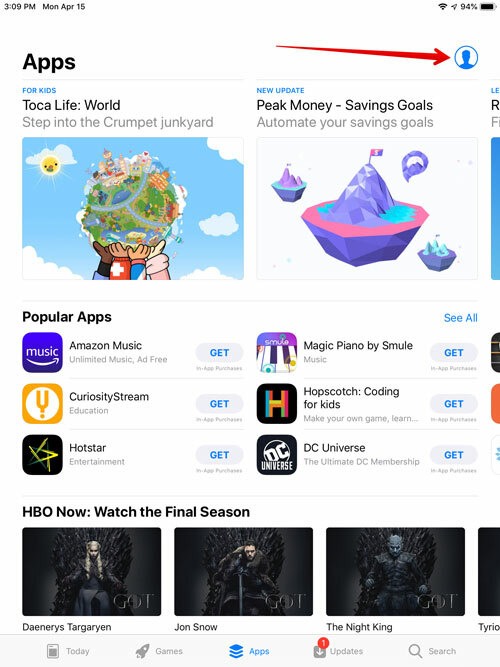 If you do have $15 USD or more, move on to number 16. 12. 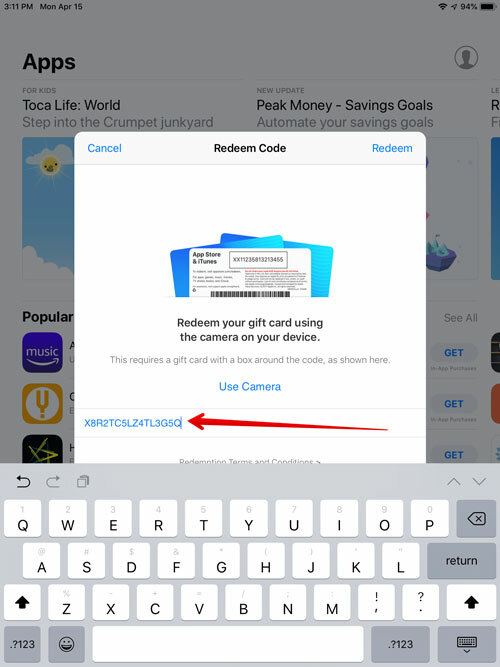 Click on Redeem Gift Card or Code. 13. 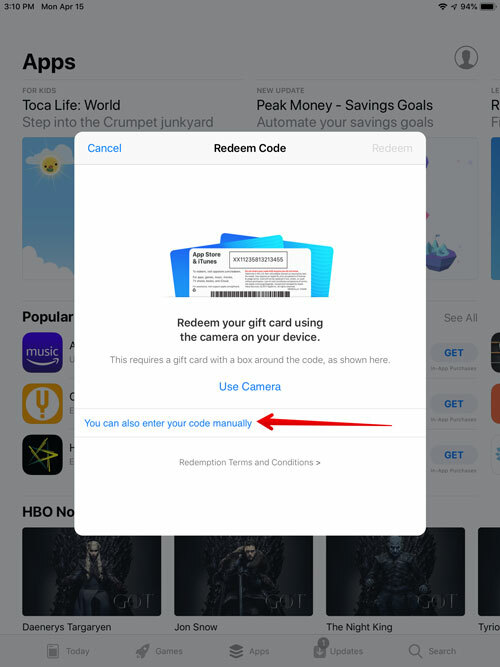 Click on the option to enter the code manually. 14. 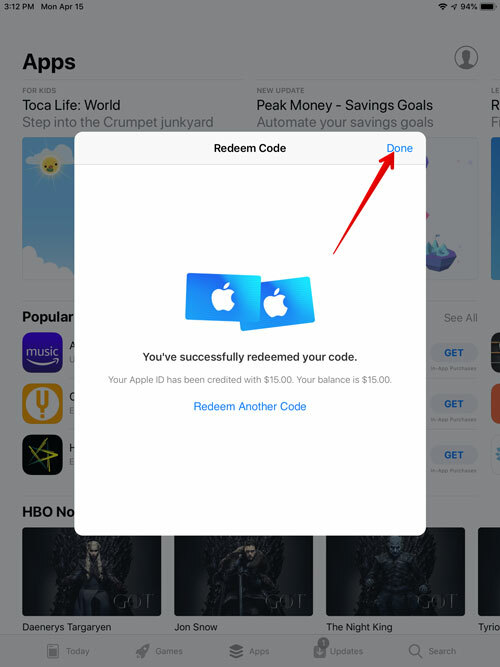 Type in a USA iTunes Gift Card Code and then click Redeem. 15. 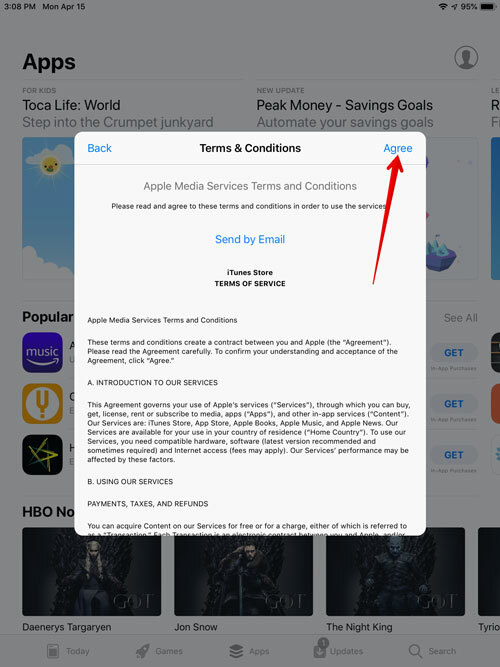 Once it redeems and you get a success message, click Done. 16. 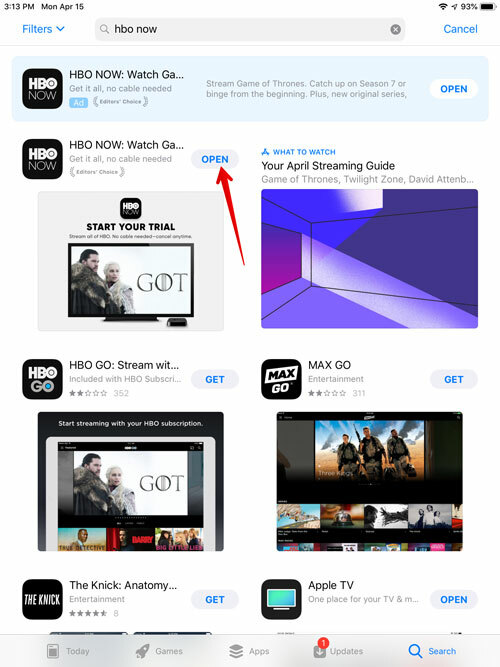 Next, search in the App Store for HBO Now and click the Get button next to it. 17. 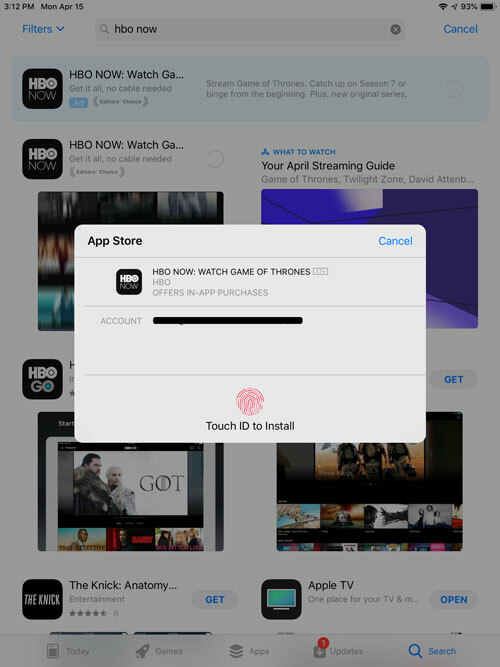 You will be prompted to either use Touch ID or enter your USA Apple ID password to authorize the installation. 18. Once Authorized, you will see a Done message. 19. 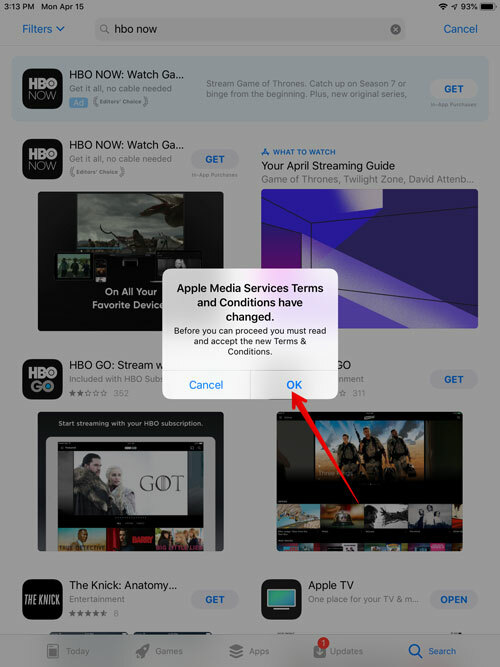 Next, you may get prompted with Apple Terms of Service. If so, click OK. If not, you can jump to step 22. 20. 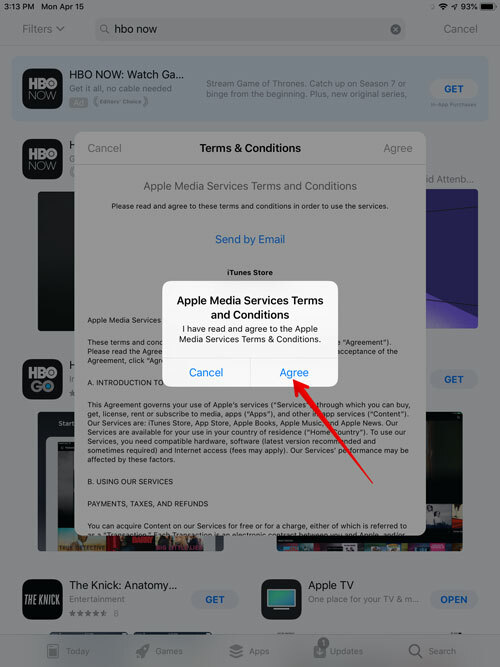 Click Agree to the Terms and Conditions. 22. 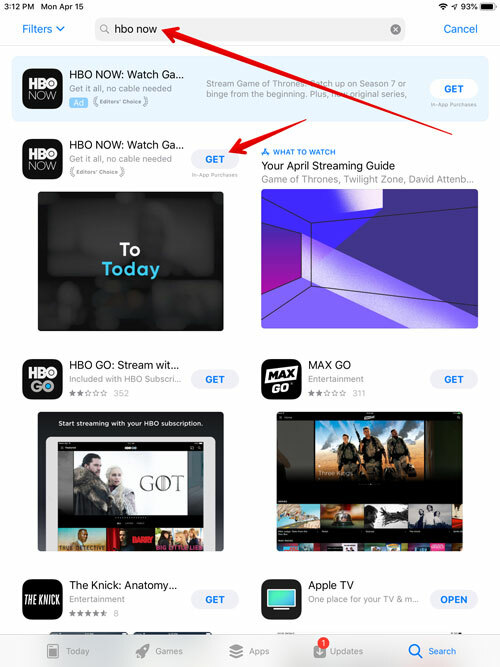 HBO Now will then begin to download. 23. Once the download completes, click Open. 24. 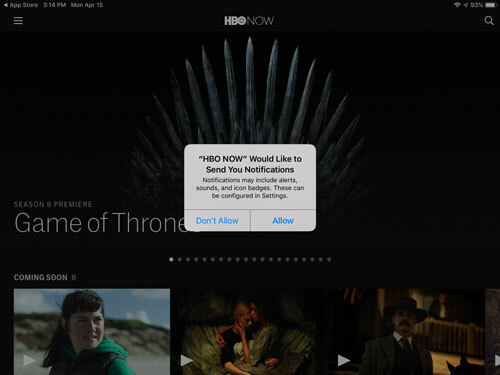 HBO Now will open and you can choose either option for Allowing Notifications. 25. Click the menu link in the top left corner. 26. 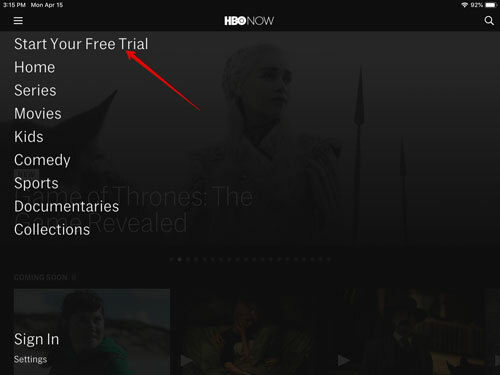 Click the option to Start Your Free Trial. 27. Click the Subscribe Now button. 28. 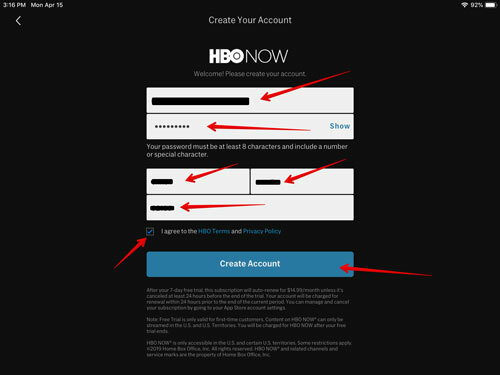 Fill out the information to create an HBO Now account. 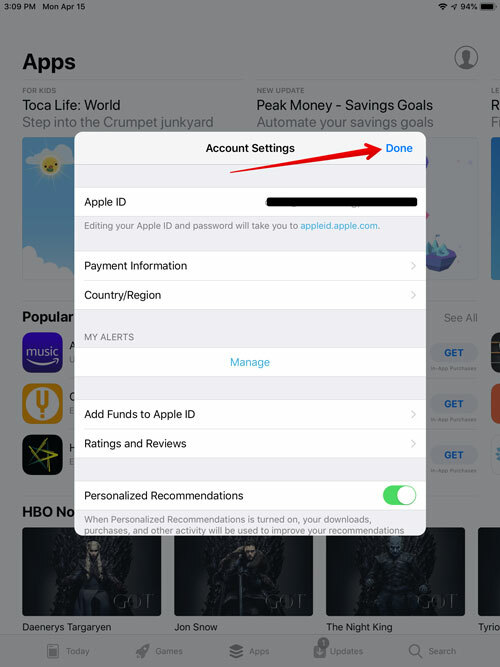 Use the email address that you use for your US Apple ID and make sure to use a USA Zip Code. 29. 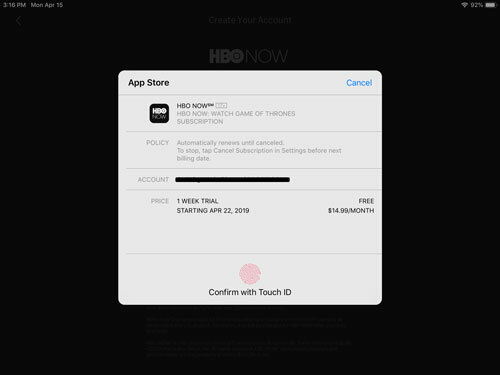 Next, you will be prompted to use Touch ID or enter your password to your US Apple ID to authorize signing up for HBO Now. 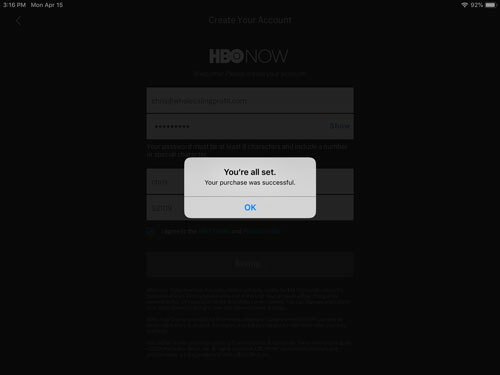 Go ahead and authorize. 30. You should then get a success message. 31. 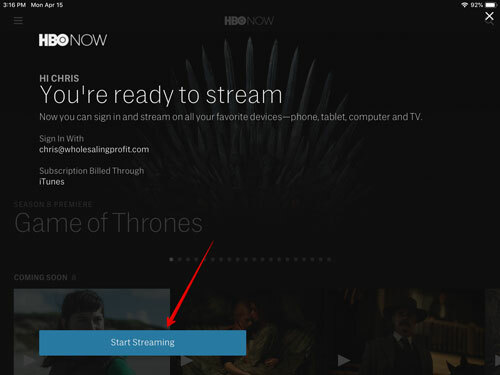 Finally, click the Start Streaming button and jump over to Game of Thrones to start watching instantly. 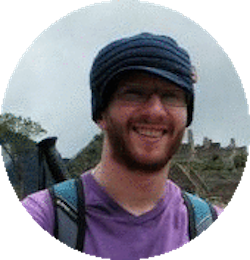 The businesses represented are not affiliated or sponsors of US Buy Direct. The logos & identifying trademarks of each company are owned by each company and/or its affiliates.